Hello! My name is Marisela, but everyone knows me by Mari. I am a senior at Hope majoring in English with an emphasis on writing and minoring in French. I am also part of the Theta Gamma Pi Sorority on campus. 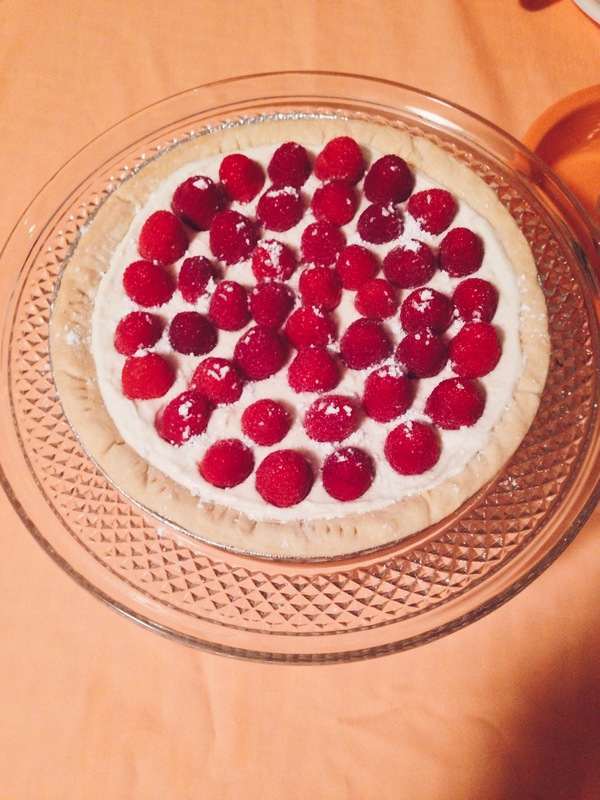 In my free time, I enjoy baking, taking photos, watching Netflix, and making music playlists for my friends. I am so excited to share my Hope experiences with you all! I feel like the past four months have truly flown by. Time will never slow down when you need it to the most. There have been moments lately when all I wanted was time to hurry up, go faster so class could end and I can take nap during my busy day, or so I can have more time to finish my essay. And yet there have plenty more moments when I wanted time to slow down so I can enjoy the little things, whether it’s walking downtown eating a waffle cone from Kilwin’s, catching up with a friend in the middle of the Pine Grove, or enjoying my daily morning prayer with God. I wish time could stop for those small moments. Sometimes we get lost in the hustle and bustle of our daily routines at school because we are constantly doing something or having to go somewhere else. This semester has been the busiest for me (naturally since I am a senior and I am taking 20 credits while also being an RA no less), and I have found that it has been hard to just stop and enjoy those moments. The horizon is almost in sight, and I am eager to take those first few steps into this new change in my life, in what will lead to a better future. Posted on April 10, 2016 April 13, 2016 Author Marisela MerazCategories RandomLeave a comment on Countdown Until Graduation! 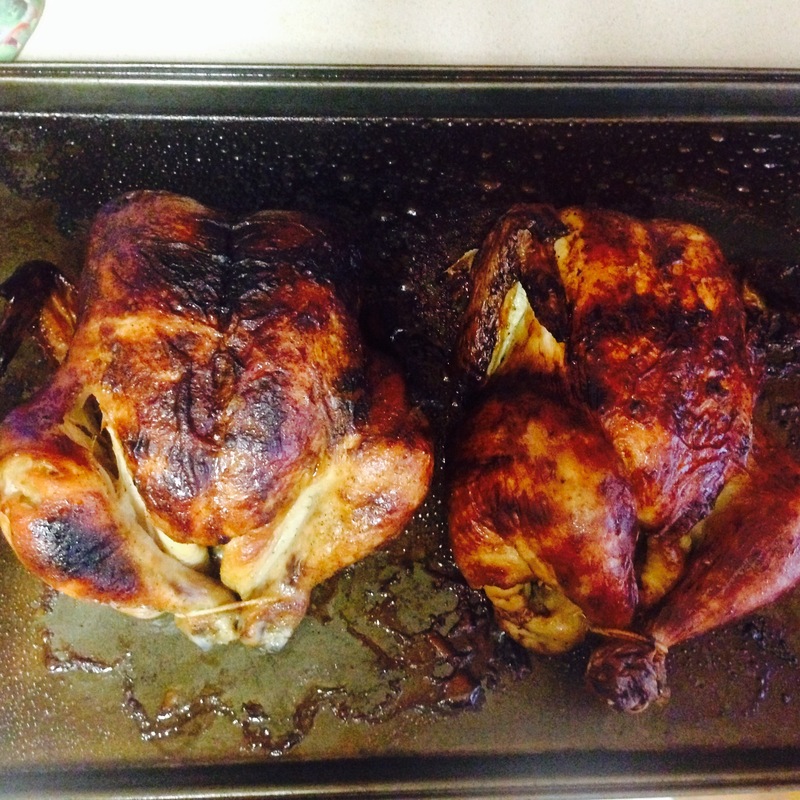 If there’s one thing I miss the most about home, it’s being able to cook in my own kitchen. You know how it feels when you are so used to a place that when even when you leave for a while and come back, you still feel right at home? It’s not that I can’t cook my own food at my house here on campus, but there’s something about the familiarity of the stove I use, the shelf in cabinet where the flour is, or why I can always find the vanilla extract behind the bottle of ground cinnamon. 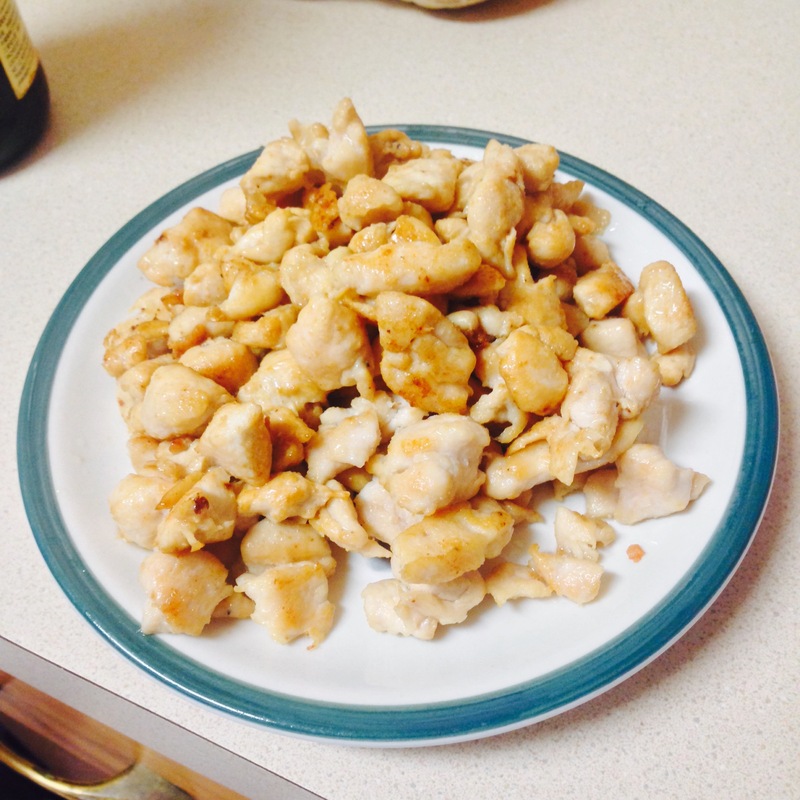 During this past spring break I did a lot of cooking and it made me want to try to cook more when I came back to campus! 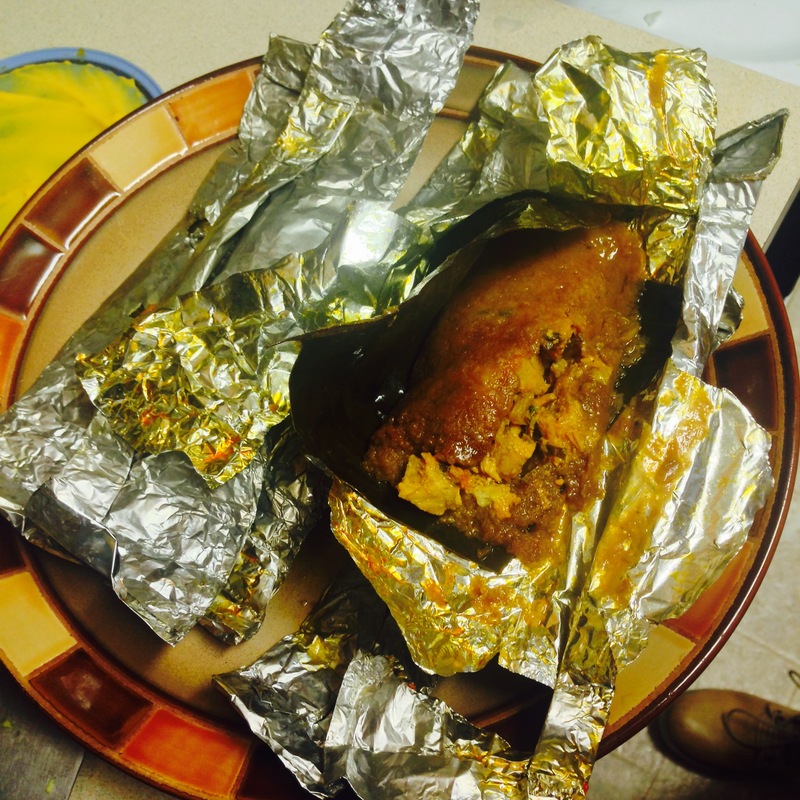 I may not always get things in class or in life, but somehow when it comes to cooking, I am in my comfort zone. 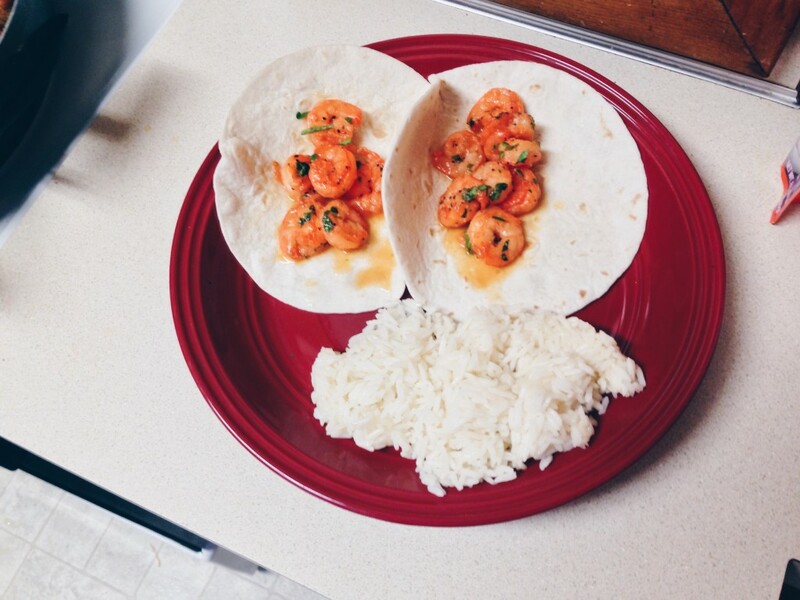 Here’s a quick and simple shrimp taco recipe I tried out a few days ago that I wanted to share with all of you out there who want to start cooking! I didn’t have everything you need to make the ultimate shrimp taco, but this was just something I made with the ingredients I had. As college students we know how to stretch whatever food we have a long way am I right? 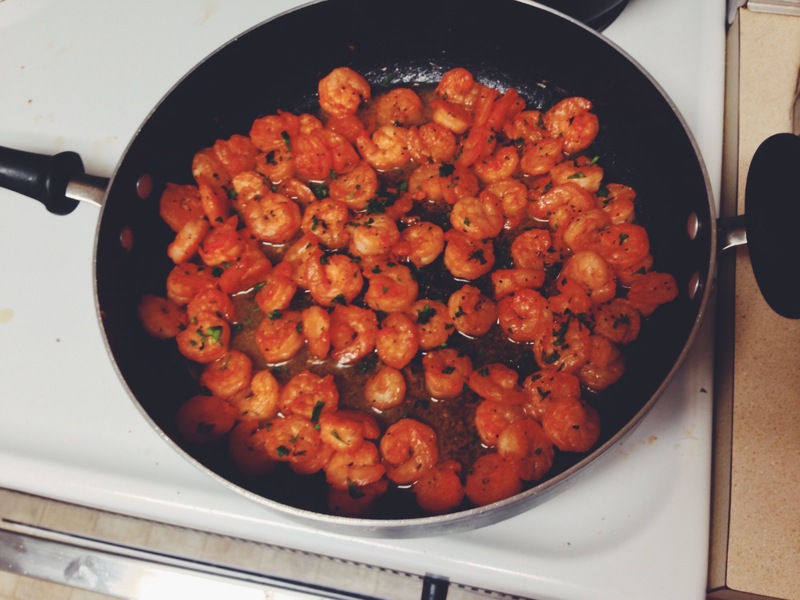 *any other optional seasoning you prefer* I used a seasoning mix that had tomato and coriander in it to give the shrimp some color and extra flavor. It’s not pictured here, but the first step you want to do is season all of the shrimp. Make sure they are dry and not wet so all of the seasonings will stick! 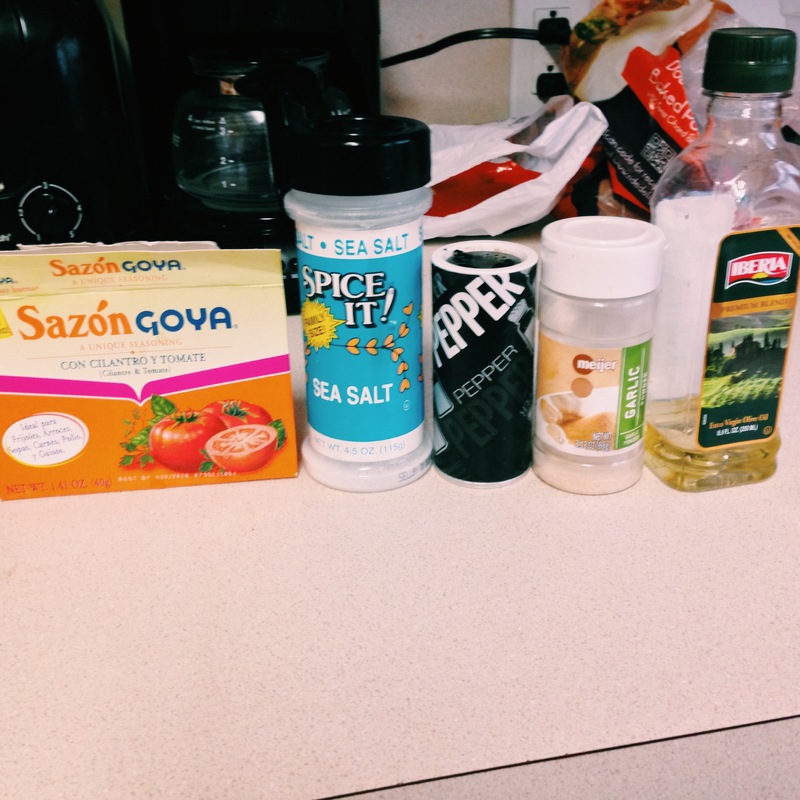 Mix together in a large bowl two tablespoons of olive oil, garlic salt, salt and pepper and any other seasoning you choose. 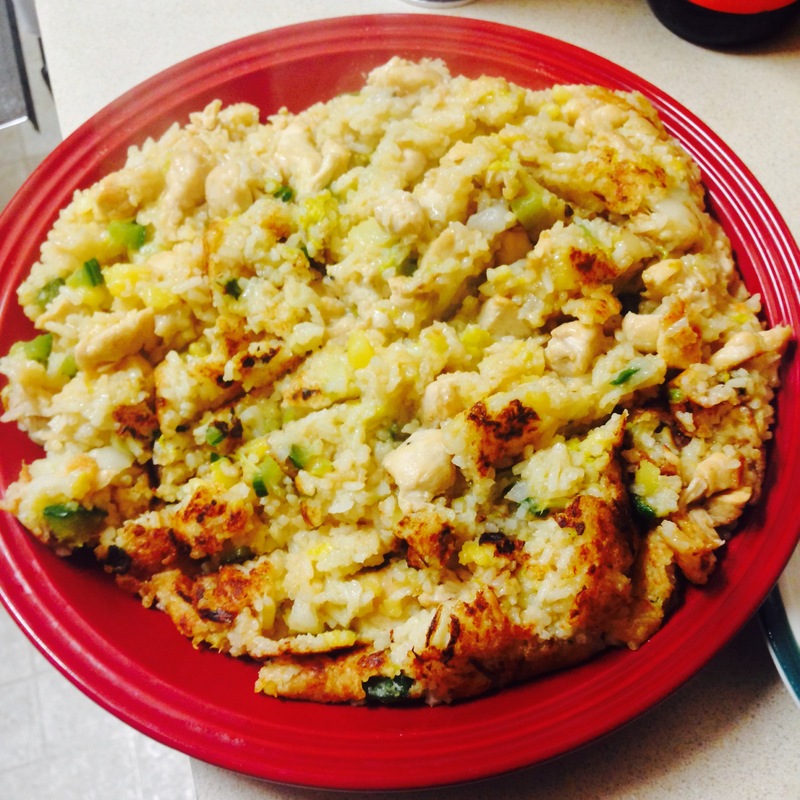 Once that’s done, heat a large skillet or grill over medium heat. Add olive oil to make sure the shrimp don’t stick. Shrimp only need to cook about 4-5 minutes and you will know they are ready when they turn an opaque color and look a little white in color. Take the grill or pan off the heat and at this point you can squeeze half a lime to the shrimp and mix together. Heat up your tortillas – I used flour, but you can use whichever you prefer – and chop up a few leaves of parsley to sprinkle over the top. If you really want to get fancy and if you have the ingredients, you can add some chopped cabbage and sliced avocado over the top! I will have to try that for the next time 🙂 Serve the tacos with a side of white rice or by themselves! When I found out I would be living in my own room for the year, I started planning in my head what I wanted my room to look like. I, like many of you I’m sure, turned to Pinterest, YouTube tutorials, Tumblr and other blogs to find some DIY inspiration. I knew I didn’t want to go out and spend a lot of money on decorations, so I went through what I had from living in the dorms the previous years. I am really happy with how my room turned out, so I figured I would share with you all a few decorating tips. In pretty much every room, whether it’s in a dorm or in a cottage, there are lights. They are especially useful for brightening up a room. Chances are you have some stored at home or even if you do have to buy them, they are usually no more than $10! I hung up a set of twinkling lights across one wall of my room and another set of lights around my closet door. 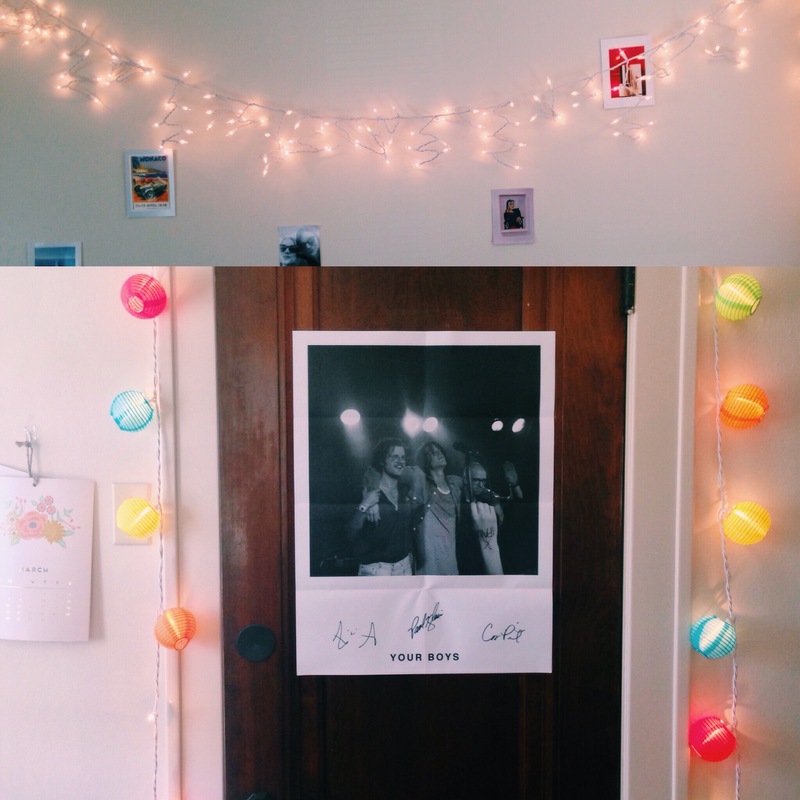 One cool way to add some more decoration is to hang the lights around photos on your wall. You could even use some laundry pins (paint them any color you want), or photo clips to hang photos in between. 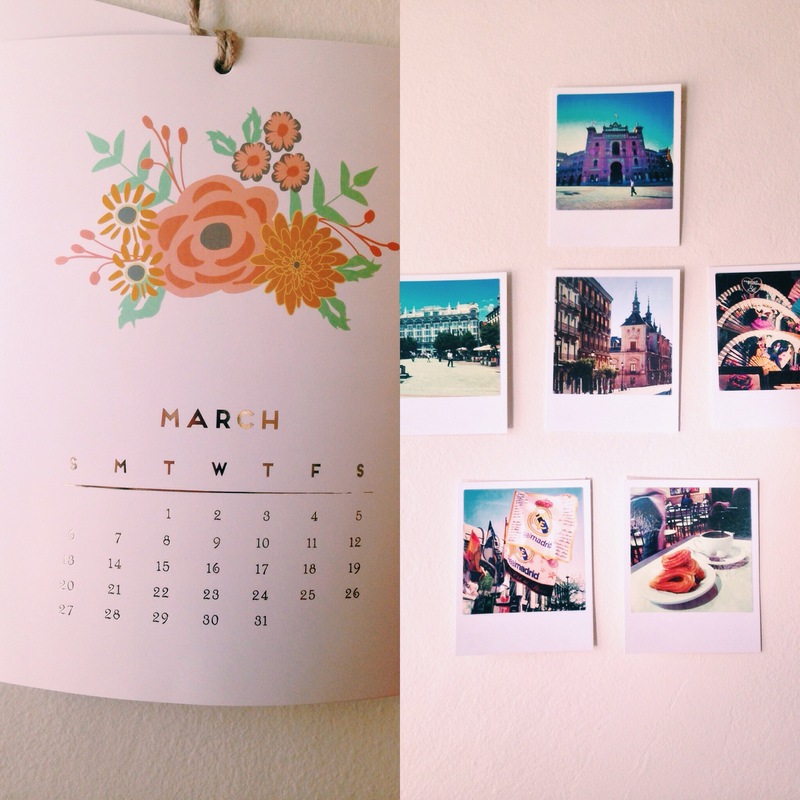 It’s a great way to put some of your favorite memories on display! Instead of just printing out your photos at CVS or Walgreens and hanging them up right away, there are other ways you can frame them, as shown below. I went to Walmart and bought 2-3 sets of cardboard frames in silver, gold and white. I placed a picture I took myself, postcards and also photos I cut out from magazines, and glued the photo within the frame. This was another way to juxtapose pictures I had without frames and position them in different ways across my wall. 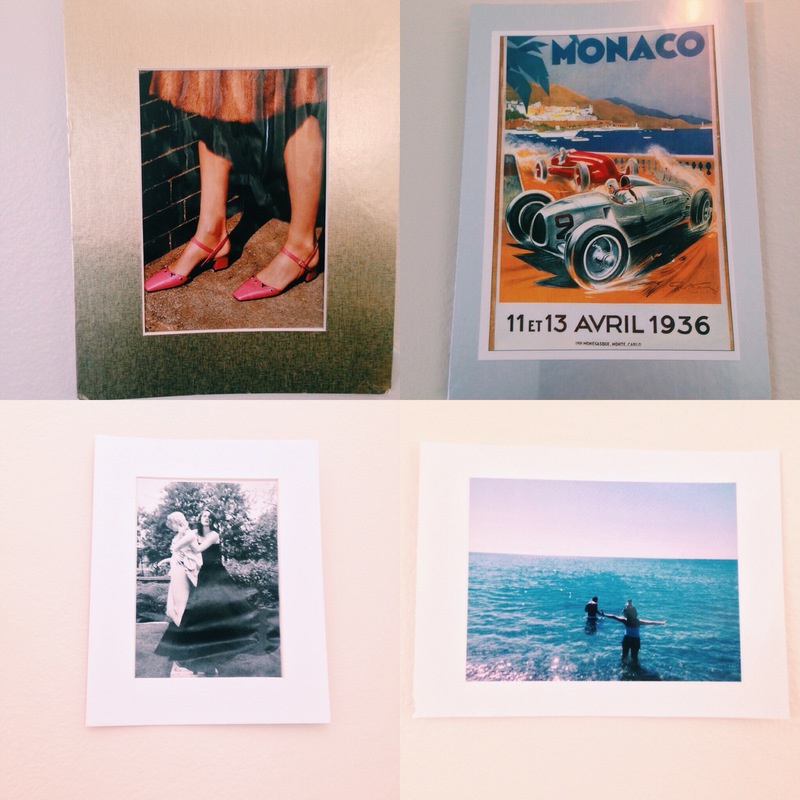 Another idea is if you have a Polaroid camera, you can take those Polaroids you took and make a mini-collage out of them on your walls, similar to how I did below. Fun fact: those Polaroids were postcards I found in Madrid when I studied abroad! Also, instead of just having a regular dry erase board as your calendar, which is totally fine to have too, you can also hang a wall calendar to add some more decoration to your room. Pretty much if you have white walls like I do, adding in pops of color here and there will make them stand out even more. Lastly, in terms of DIY mini projects you can do, two examples are shown below of what I made myself. One is a mini-chalkboard that I painted and decorated with some gems. It’s useful too because I can write some of my favorite quotes or sayings down, which I usually switch up each month. Another fun idea is making collages, which I still love doing. 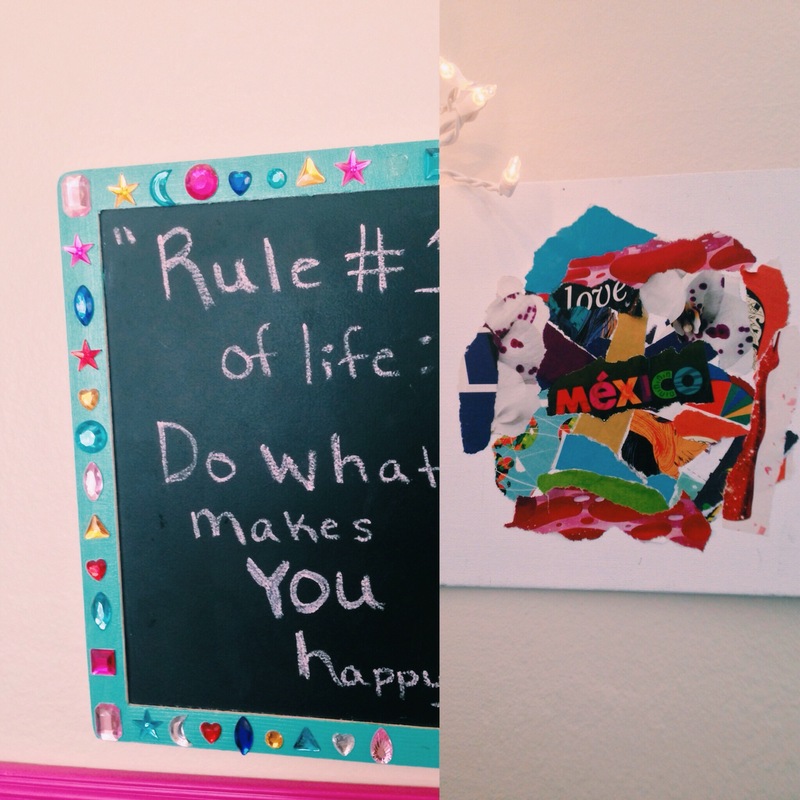 You can make your collage however you want and in the end, you can hang it up as a display in your room! Posted on March 11, 2016 March 15, 2016 Author Marisela MerazCategories Campus Life1 Comment on Room Decor Ideas! Why English as a Major? Why Writing? This semester, I am taking 4 English classes (4!) and it’s been the most challenging experience thus far! For one, I never thought I would be able to keep up with my writing as much as I have done so far. Besides taking Advanced Fiction, I am also in Intermediate Poetry, and it has been so rewarding in the smallest of ways. For one, I never considered myself a poet, not even a “potential” poet, so for me to actually write poems every week is a success in my book! During the first 13 days of the semester, we were required to write one poem a day as part of a “Poetry Blitz.” I wasn’t sure how I was going to be able to produce one poem – one well-written poem – a day. The task seemed daunting, yet, it wasn’t as hard as I thought it would be. It was actually my favorite thing to do at the end of a long school day; to just sit down, put on some good music, and see what words come out of it. I realized midway through that the whole point of the blitz wasn’t to create amazing poems, but to create a body of work I could go back and revise. Even though this semester has been so busy and I have writing assignments due left and right, I am just soaking everything in as much as I can. I am grateful for all that I have come to learn thus far in my own writing and am looking forward to the last few weeks I have before graduation! Posted on February 25, 2016 February 27, 2016 Author Marisela MerazCategories AcademicsLeave a comment on Why English as a Major? Why Writing? One of my favorite things about living in a cottage with my sorority sisters is that there is always someone in the kitchen cooking. I feel like I spend most of my time in or around the kitchen for that reason alone. The kitchen is my safe space, a place where I am free to create something really, really delicious. But the best part of it all is when I get to try different foods that I’ve never tried before. Who would say no to food, honestly? Not me. I am so thankful for sisters who love to share 🙂 Seeing as there is currently another snowstorm in the midst, all I really want to do is stay inside and cook something warm. Now that would be a perfect way to start my winter break! I hope you enjoy the following photos of food that I have taken—hope it doesn’t make you too hungry! Last Monday, I had the opportunity to attend the Martin Luther King Jr. Civil Rights Lecture that was held in Dimnent Chapel. The speaker, David Paul, is a Hope alum and, fun fact: he is the youngest speaker to be asked to speak at the MLK Lecture! He presented his lecture entitled, “Dare to Be BOLD,” in which he spoke about Dr. King in his early life and the struggles he faced as he spoke out against injustices he witnessed. Those who were planning on attending the lecture were encouraged to read Dr. King’s “Letter from Birmingham” in advance. I have to admit, I didn’t find it easy writing this post, not because I didn’t want to write it, but because I wanted to take the time to reflect on what was said. In his lecture, Paul spoke about Dr. King when he was in his twenties, before he became one of the most prominent leaders of the Civil Rights Movement. During this time, Dr. King was pursuing his graduate studies at Boston University, where he later earned his doctorate in systematic theology. He often referred to Boston as his second home, as that was the place where he also met his future wife, Coretta Scott. So then, what would drive a man to leave a place of comfort, pack up his things, and relocate his family to Montgomery, Alabama? This was the question Paul asked us, and it made me ask myself: how far I am willing to surrender myself to His call and surrender my life? Paul also touched on the importance of vulnerability in this kind of situation. He spoke about how vulnerable Dr. King must have been to have made that decision that would forever alter the course of his life. It was not an easy road for Dr. King, who was just as human as the rest of us, a person who had flaws and faced pain and suffering. Now is the time to think about how you view yourself and whether or not your identity is rooted in something other than the surface level. Paul gave a funny example of his own by talking about how he became obsessed with growing and maintain a mustache in college. One day, some of his buddies held him down and tried to shave it off, but he managed to break free. It wasn’t until later that he realized how wrapped up he was in his image that he didn’t see how he was neglecting those around him. It was a powerful statement to think about how we view ourselves and how we want to represent Christ in our everyday lives. What is really important, Paul said, is how we treat others and how we give back to our communities. Students and faculty representing the Office of Multicultural Education as well as Black Student Union, Hope’s Asian Perspective Association, Latino Student Organization and the Theta Gamma Pi Sorority alongside speaker David Paul. With the beginning of a new year, I know I am not alone in saying that I have every intention of making this new semester (my last! ), the best one yet. I don’t believe in New Year’s resolutions, but this year I am going to continue working on one of my goals I seemed to struggle with last semester: staying organized. It may have been due to the fact that the semester prior, I was abroad, living the European academic lifestyle! Not to say that it was easy by any means, but let’s just say I didn’t even use a planner to keep track of my classes or assignments, which is something I had never done before. So, last semester was a rough one and my organizational skills were extremely lacking to say the least. However, I want to put in the work and change that this time around. Just because I am graduating in May doesn’t mean I should start adopting “senioritis” now, no way. So, I had some time this weekend before classes to brush up on those organizational skills I had stored deep in my brain way long ago in hopes that it not only helps me, but you as well! 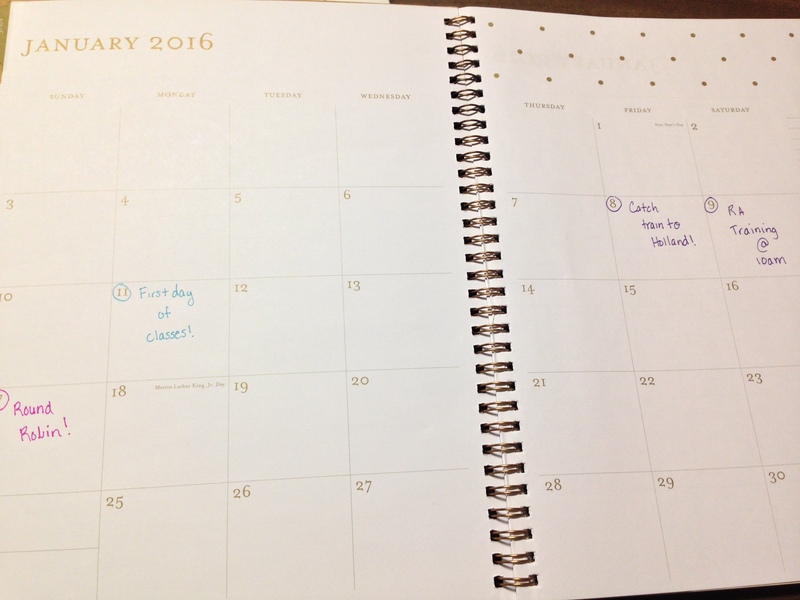 When it comes to getting organized, the best way I can do that personally is with the use of a planner. These days, planners are somewhat of an investment, as they can be quite costly. 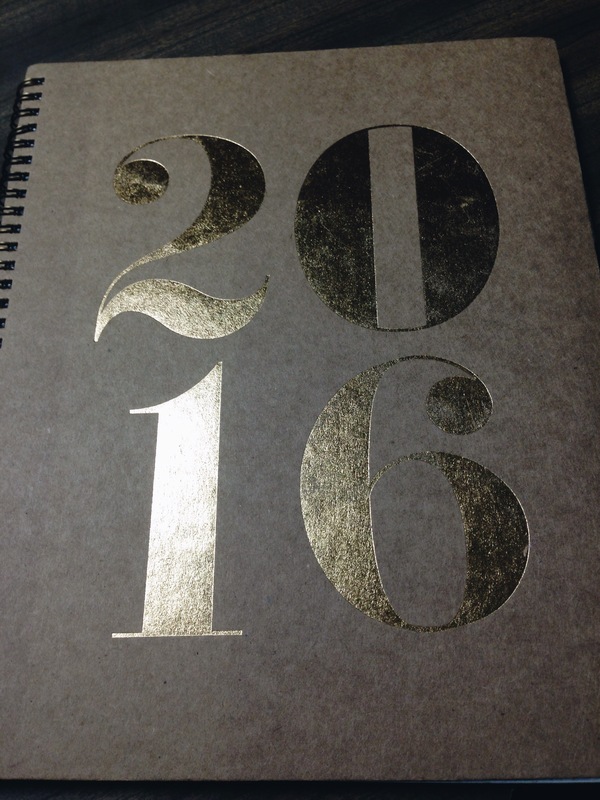 I thought about buying one of those fancy planners, but I ended up finding a functional one at Target for $10. I call that a success if you ask me. It really doesn’t matter what kind of planner you buy, but really how you use it that matters in the long run. I found a really good deal on this planner at Target! When you finally have your planner in front of you and you have gotten the feel for the style and how it’s set up, you can start inputting dates off the top of your head you know about, even if they are tentative like: upcoming birthdays, meetings, practices, etc. If later on you have to cross some things out and change them, that’s okay. I can guarantee you no one’s planner is perfect, because chances are, things change all the time, especially with our schedules right? Next, plan your upcoming week. 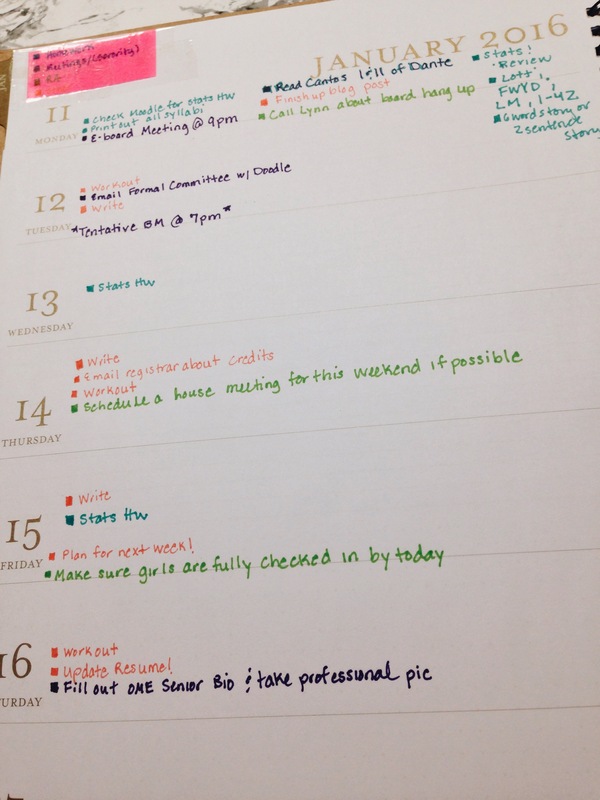 I personally like to plan week by week because it is less overwhelming. I know that when professor’s pass out their syllabus, most of the time they give you all of the dates, but are you really going to write out the homework for each day for the whole semester? That makes my head hurt just thinking about it! I suggest just putting down any major assignments like essays, research papers, group projects, final exams, etc. When I plan my week, I like to keep things organized in my planner by using a color coded system, with 4 sections max that are relevant to me personally like: homework, sorority information, RA responsibilities, and “other” for things like working out, skyping a friend, etc. Seeing everything broken down into different sections keeps me on track and makes me feel a lot more at ease once something is checked off and completed. If your planner has a section for other “Notes,” that is also a place that you can really utilize by using post-it notes! I always keep a stash in my backpack in case I run out of room when writing down a homework assignment and I need to remember to do something. Whether you are new to the “planner” or not, I hope this is useful for you in some way – thanks for reading! Posted on November 27, 2015 December 2, 2015 Author Marisela MerazCategories HomeLeave a comment on Thanksgiving Day Video! This past weekend I attended the GLCA, or Great Lakes Colleges Association, conference here at Hope, whose mission is to “take actions that will help strengthen and preserve our colleges; and by being a leading force on behalf of education in the tradition of the liberal arts and sciences.” This was my first time attending the conference, but I had heard great things from my friends who had gone to prior conferences. Students from 12 other colleges like Albion, Denison, Ohio Wesleyan and Kalamazoo came to Hope to spend their weekend hearing from guest speakers and attend workshops.This year’s theme for the conference was “Student Success: The Politics of Institutional Culture,” which couldn’t be a more relevant topic to discuss right now with what is happening at several universities in the states. Student success among students of color in mostly white institutions is a common problem and can lead to struggles in how students succeed academically, socially as well as the overall campus climate, whether it is welcoming or unwelcoming. 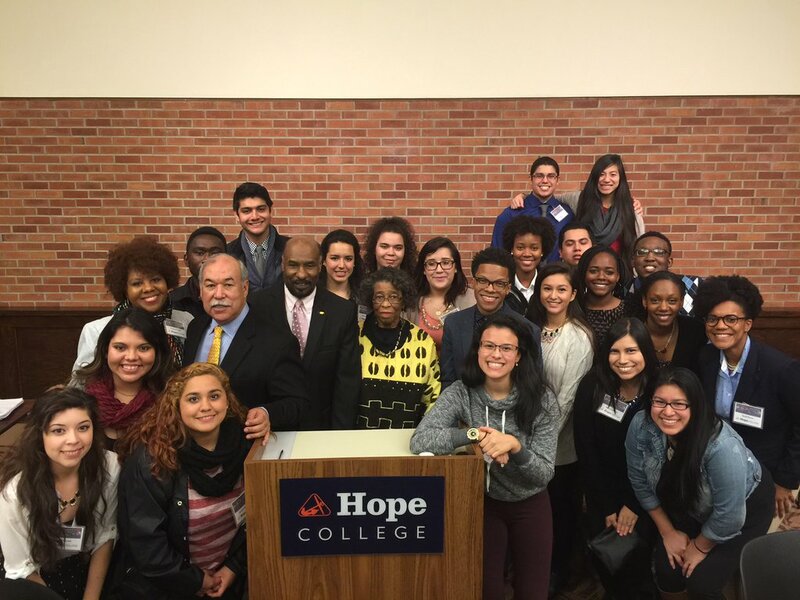 I don’t have the right words to describe how I felt seeing so many students of color on Hope’s campus other than to say it was pretty cool. It doesn’t do that feeling justice, but really, meeting students from other colleges was the highlight of my time at the conference, if only for the simple fact that we all shared a same bond of knowing what it feels like going to a college where we are underrepresented. Another highlight of the conference was when one of the guest speakers, Dr. Terrell Strayhorn, spoke during dinner on Friday night. I’ve heard from many guest speakers throughout the various events and lectures I have attended at Hope, but Dr. Strayhorn’s speech resonated with not only me, but everyone in the room. One of the major takeaways from what he spoke about was when he stated that we must be proud of what we are good at. If you are good at math, say you are good at math. If you are good at singing, then be proud to say you are good at singing. Too often we doubt ourselves and our abilities of what we can’t do, but why not be proud of what we can do? I urge you to think about your gifts, your talents, and the next time someone asks you what you are good at, hold your head up high. I know I will do the same! 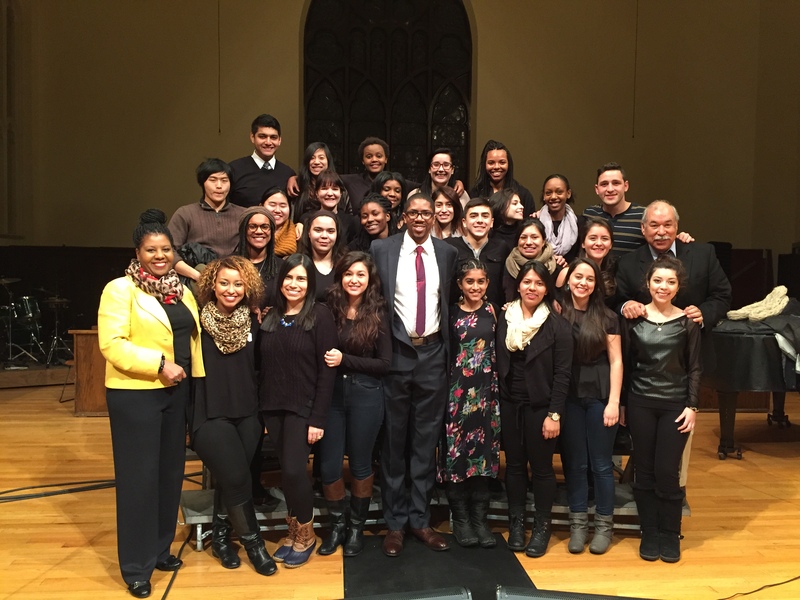 Group picture with Dr. Strayhorn! 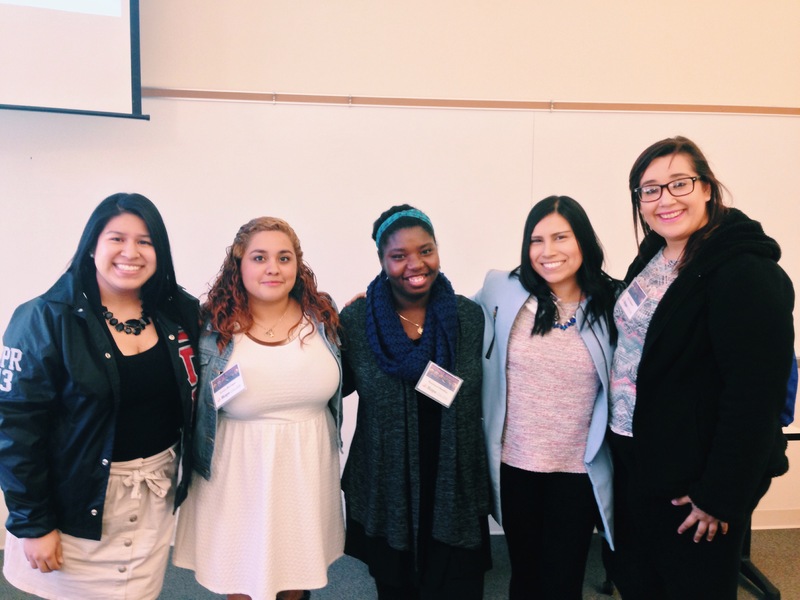 On Saturday afternoon, I and a few of my sisters went to support our Theta sister Rudy who was presenting her research on the challenges, lack of support and resources students of color experience in their field. Even though Rudy’s research centered around the healthcare field, I was still able to think about the challenges I have faced thus far in my own English field and how much support I have received throughout the past 3 years. Either way, it is important for all of us to think about these questions as we continue our education and think about how we are receiving (or not) the support and resources we need to be successful. After a long day of attending workshops and participating in important discussions, it was nice to end the day by going to Images. If you didn’t know, Images is a multicultural showcase with dances, singing and skits that Hope students participate in. What I love about Images if that highlights the many different cultures that make up our campus. A lot of my friends and sisters (Alexis, Ashley and Rudy–good job ladies!) were in a few of the dances, so I wanted to show my support for all of their hard work they put forth the past few weeks! Below is a video I took of my sister Qian performing in Images in a “Vietnamese Hat Dance,” which depicts both women’s grace as well as daily activities of the Vietnamese people. 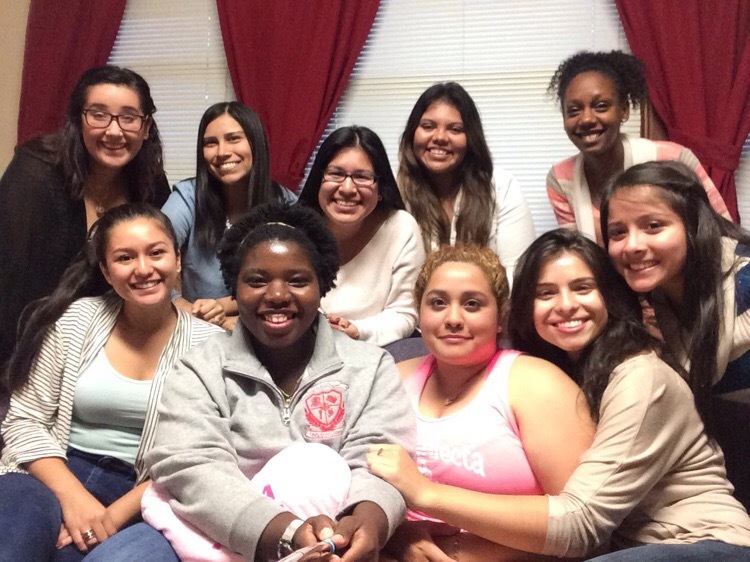 What Is It Like to be the RA of my Sorority Cottage? Originally, I wasn’t planning on being the RA of my sorority cottage, but it kind of just happened. 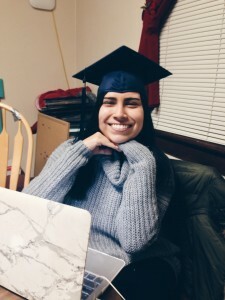 I was studying abroad when I was asked if I could apply since my sister Mikar, who was originally going to apply, was accepted to study abroad in Brazil. So after submitting my application, there I was trying to figure out how to schedule a Skype interview since I was about 6 hours ahead of everyone back in Holland! In the end, it was something that I wasn’t expecting, but it ended up being one of the best decisions I ever made. Initially, I was a bit nervous because the new girls who initiated into the sorority did so when I was away, so we all knew about each other, but nothing more than that. On their end, I was this mysterious person whose name was always mentioned, but that’s all that they knew. On my part, I heard so many good things about these new group of girls and I was happy that they found their place with the Thetas. Soon after moving in and meeting everyone, my nerves eventually went away as I got to know each of my sisters. How blessed I feel to know them is more than I can put into words! This is my first semester not living in the dorms, so it feels so different to actually live in a house where there is a kitchen where I can actually cook and I have my own room! These little things are like luxuries to me, especially being in my last year at Hope. More than anything, I feel very blessed to be living amongst such strong, intelligent and hardworking women. In their own unique ways, they each have impacted and inspired me throughout the past few months as I am trying to navigate through my responsibilities as an RA. So this is my way of saying thank you to them for making my “job” so very easy! 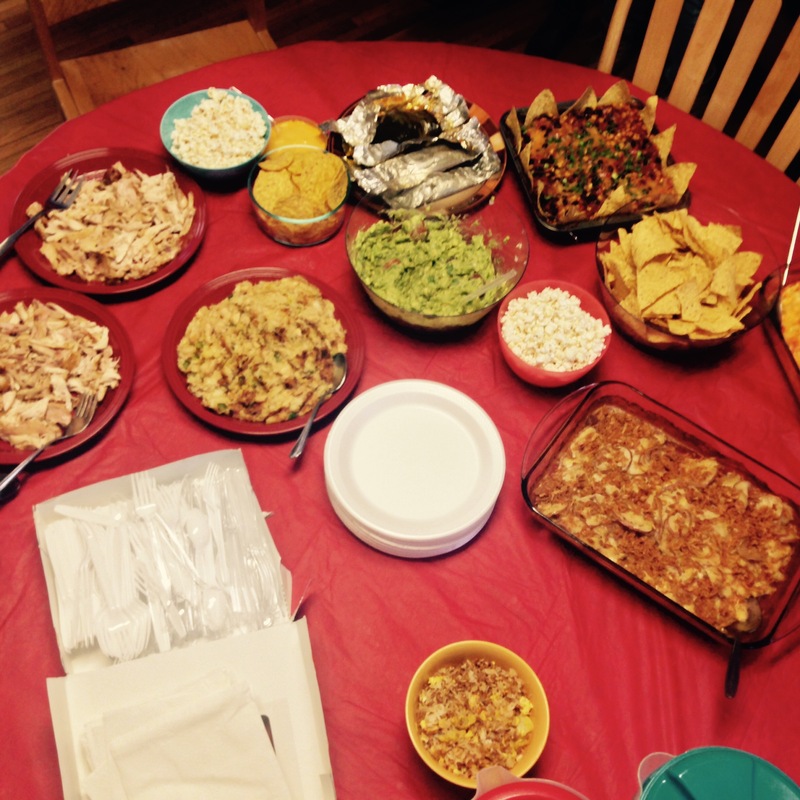 But back to the title of my post: What is it like to be the RA of a sorority cottage? Well, it’s a lot of fun, for one thing 🙂 Sure, there are some not so fun moments when I have to send in 5 different work orders in one day or when I have to kindly remind everyone to do their chores, but those aside, living with people you know and love makes it all worth it. Whether it’s having meaningful conversations on guy troubles or how stressful our day has been, it brings me closer to each one of my sisters. One of my favorite memories since moving in was when we had our first family dinner and of course we talked and chatted about whatever was on our minds, but towards the end of the dinner the conversation geared towards where our families were from. In that moment, hearing what each one of my sisters had to say made me realize that we all have something to learn from one another, no matter how different our story is and for that, I am blessed to know each and every one of these wonderful women. Posted on November 5, 2015 November 9, 2015 Author Marisela MerazCategories Campus LifeLeave a comment on What Is It Like to be the RA of my Sorority Cottage?